Valeria Jean Reid, affectionately known as “Libby” to family and close friends, was born to the late Ollie and Emma Mae Reid on Sept. 11, 1929 in Cincinnati, Ohio. She entered into eternal life on June 16. She was 88. Reid was educated in the Cincinnati Public School District. She confessed her faith in Jesus at an early age at Second Corinthian Baptist Church, where she was baptized by the late Rev. Scott White. She was a faithful member of Second Corinthian for over 60 years, where she became equipped in the Word and participated in numerous activities. Her love and devotion to the Lord encouraged and led many to seek after and commit their lives to Him. Underneath her calm presence and peaceful demeanor was a passionate spirit of praise. She loved to worship and serve the Lord wholeheartedly. She modeled a tenacious strength to “count it all joy” and trust in the Lord at all times. She studied, meditated on, and declared God’s word daily, always including a passage from Psalms in her devotion time. She could often be found enjoying her favorite TV ministry programs, watching a judge show, or completing Bible word search puzzles. Reid was a wonderful mother and grandmother who dedicated her life to providing and caring for her family. She was a woman of excellence and a woman of grace. She delighted in preparing for each day with her impeccable style, and always maintaining a well-kept and welcoming home. To know her was to love her. She was the family’s beloved matriarch who was overwhelmed by their love to her last moments. She was a vessel of honor, who lived her life set apart for the Lord, The power of her presence and fortitude of her faith will be truly missed. 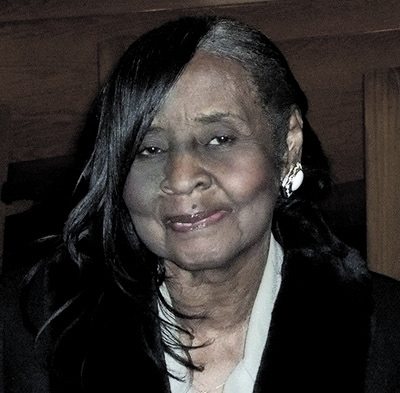 Reid was preceded in death by her parents, four siblings: Volie Reid, Dorothy Hill, Barbara Lee Johnson, and Melvin L. Reid; and, two sons Daryl Yacob Reid and Terry Darnell Reid. .
She leaves to celebrate her life and legacy her eight children: Larry (Kim) Reid, Regina Reid, Gail (Victor) Sellu, Sharon Reid (Carl Johnson), Gerald (Lori) Reid, Shawn (Latonia) Reid, Andre Reid, and Reginald (Tracy) Reid; five sisters: Lenora Salter, Sherley Reid, Annette (Jerry) Weems, Carolyn McNear, and Serrecia Ervin; two brothers, Nathan (Leola) Reid and William (Elizabeth) Reid; 41 grandchildren, 80 great-grandchildren and six great-great grandchildren; and a host of nieces nephews, cousins and friends.